All our Android templates now support both Android Studio and Android Studio. 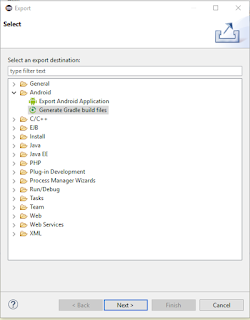 But over the last couple of months, I have noticed more people asking how they should go about moving their existing Android projects from the Android Studio environment to Android Studio the InteliJ based IDE that is now the official editor for the Android project. 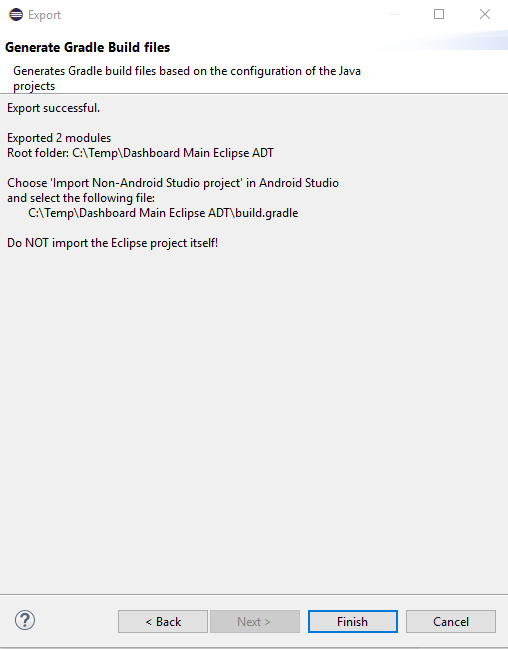 As such I have decided to document the process of migrating a project from Android Studio to Android Studio. 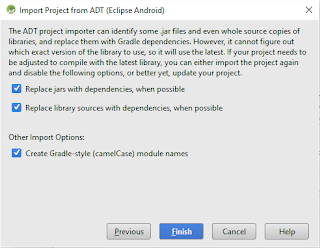 There are two methods for importing Android Studio projects into Android Studio, the first would be importing the Eclipse project directly into Android Studio using the import wizard, or exporting a the Eclipse project to a Gradle project and then importing the Gradle project. I will walk through both methods in this post. 1) Start Android Studio, close any projects that you might have open. 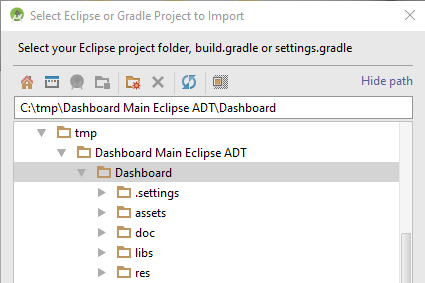 2) From the menu select File > New > Import Project. 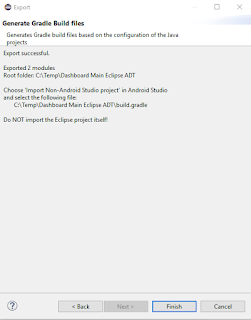 This can also be done from the Welcome Screen by selecting Import project (Android Studio, Gradle, etc.). 3) Select the Eclipse project folder of your existing project, and click Ok.
4) Select a destination project folder, and click Next. 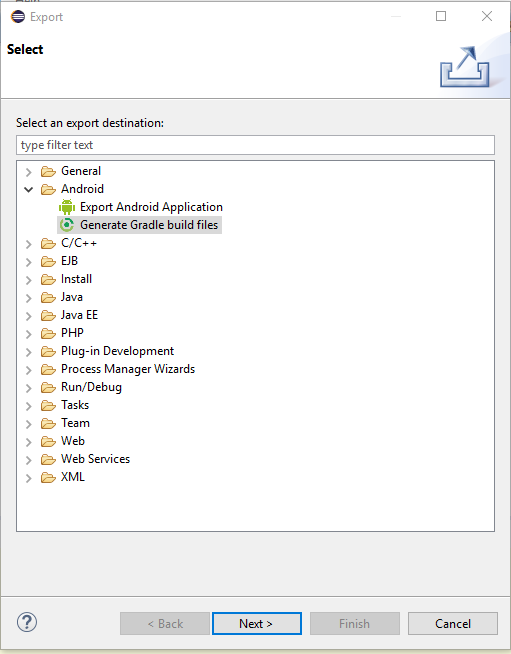 5) Select import options, and click Finish. 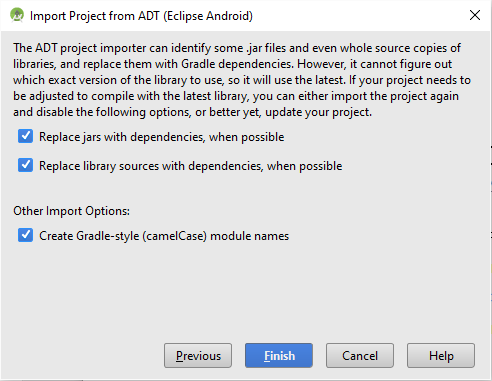 6) Once the import completes Android Studio will show the newly imported project, with a project review summary. 7) Validating the imported project. 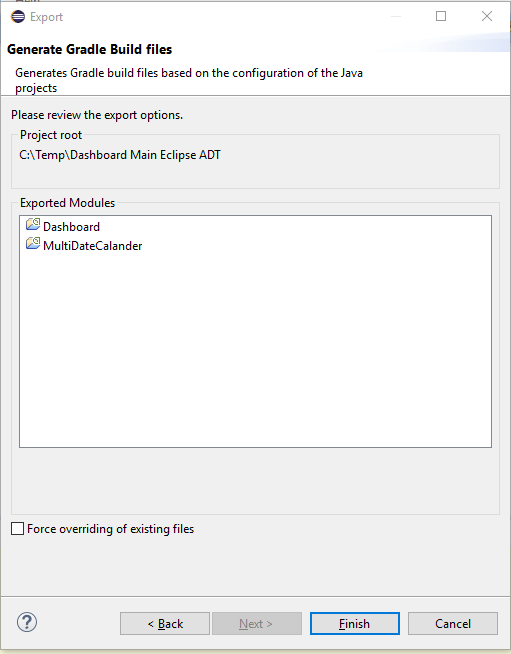 After the completion of the import use the Build > Make Project to build the project, and then use Run > Run to execute your project. 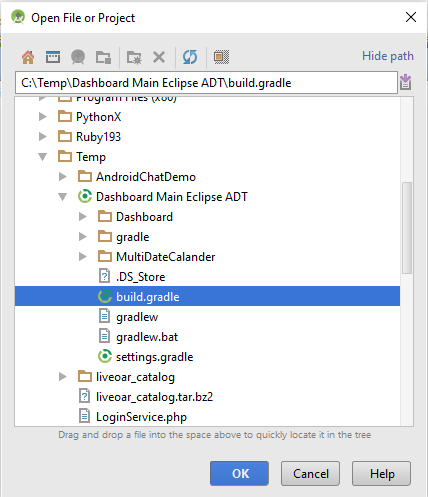 Note this is for advanced users only, and I would recommend that this is only done if you have previous experience with the Gradle build system. One pre-requisite for this process it to ensure your existing project builds completely as the wizard will not export a project that has errors. 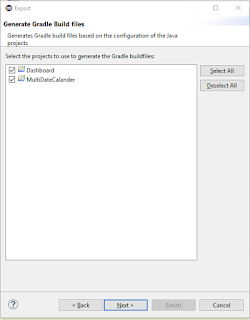 6) Note down the location of the gradle.build file, on the Summary page, and click Finish again. 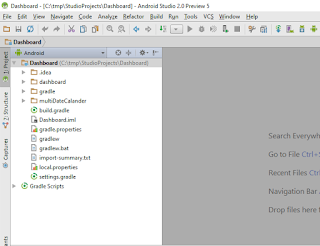 7) Start Android Studio, close any projects that you might have open. 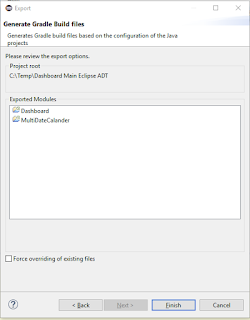 8) From the menu select File > New > Import Project. 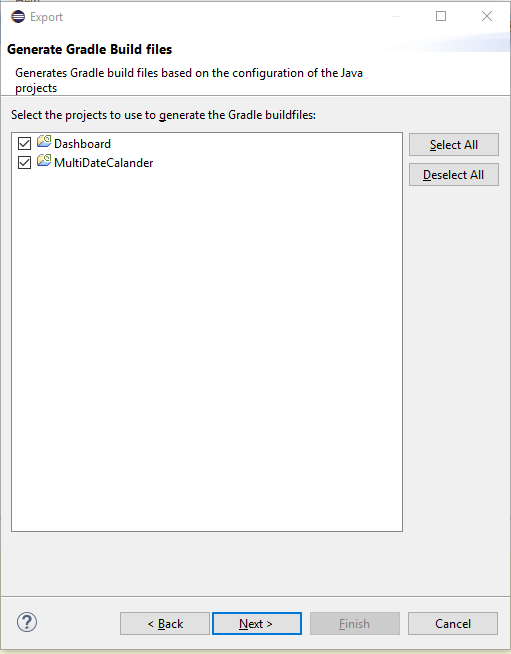 9) Select the above-generated build.gradle file of your existing project, and click Ok.
10) Once the import completes Android Studio will show the newly imported project, with a project review summary. 11) Validating the imported project. 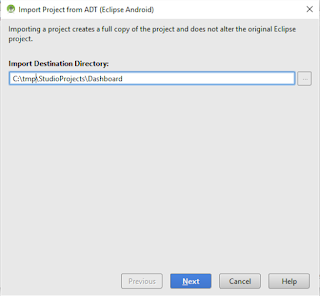 This is a short introduction to migrating existing Android Studio Android projects to Android Studio. With the up and coming Android Studio 2.0 release, I believe now is the ideal time to start moving your existing Eclipse projects to Android Studio.